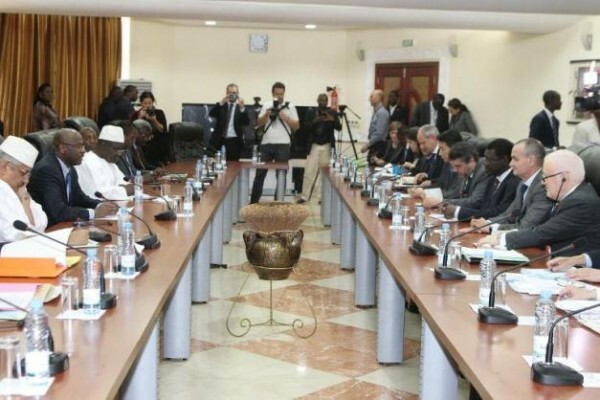 The report of the UN panel of experts on the security situation in Mali and the violations of the Algiers peace agreement, which was made public on the 30th of August has caused a great stir. The accused individuals and armed groups began protests of their innocence after these allegations became public. The government and Malian armed forces which were also exposed, reacted by denouncing parts of the report that put them in a bad light. The main message of the report is that several actors in the peace process are involved in terrorist attacks and/or other crimes ranging from drug trafficking to weapons and abuse of human beings. In short, experts tell us that many of the players in the peace process who were previously warring parties are not “good guys”. They can even be true villains capable of supporting terrorist attacks. This report is the result of serious and difficult research work in the particular context of Mali. As it is in the Democratic Republic of the Congo (DRC), where the murder of two UN experts remain in everyone’s mind. The main contribution of those panel of experts’ reports is to document at least a part of the violations of the peace agreements and crimes committed in connection with conflicts. They occasionnaly also enable significant political developments resulting from the threat or effective application of targeted sanctions. In rare cases, this work contributes to the indictment by local or international justice systems of some of the main perpetrators of war crimes against humanity or other serious criminal offences. But between exposing facts and personal responsibilities and generating an effective contribution to peace or an improvement of security, lies the little diplomatic game between major and medium-sized powers in the Security Council, fed by calculations that sometimes have little to do with with the desire to create lasting peace. Is the fact of establishing that many leaders of the Malian armed groups committed at some point crimes against civilians- that can be cynically called ‘unnecessary’ crimes a great finding? Have we forgotten the different episodes of the Malian conflict since January 2012 and the basic human rights violations in which Tuareg separatists, and later on ‘jihadist’ armed groups share responsibility? Have changes in group names, alliance fluctuations and declarations of good intent already transformed cynical individuals driven by personal and clanic interests into gentle agents of peace in some quarters? The reality in Mali, as with all the African crises within the last two decades, is that we feed the illusion that security can be restored in areas devastated by violence by systematically co-opting the main orchestrators of conflicts in peace processes. The reality in Mali, as with all the African crises within the last two decades, is that we feed the illusion that security can be restored in areas devastated by violence by systematically co-opting the main orchestrators of conflicts in peace processes. The rise in political and financial power of the less scrupulous actors has more often been favored in the name of searching for peace and reconciliation. By hastily organizing elections, we have systematically strengthened the most vicious political entrepreneurs. Meanwhile, unarmed actors deprived of financial resources which are necessary to carry out any significant political activity or make an impact, are marginalized. Is it certain that the political weight of the big traffickers has not increased in Mali since the peace agreement? While the only real villains reported and prosecuted by the ‘International Community’ are the ‘jihadist terrorists’, other actors who are quietly killing their country and the future of young people through their massive trafficking enterprise are not bothered. Have we truly thought of a strategy that aims to subtly and effectively weaken the war economy actors rather than inviting them to concurrently benefit from peace and its attached generous programs? Young people and children who see how much crisis and crisis recovery have enabled the most opportunistic individuals without known professional skills, to get rich both in the north and in Bamako, are learning how to become rich in a short piece of time in a country that is supposed to be in great difficulty. In Côte d’Ivoire too, the panels of experts mandated by the United Nations Security Council have produced reports on a regular basis for several years. In my previous capacity, these reports were part of the mandatory readings to feed the analysis for the NGO that employed me. In Côte d’Ivoire too, these reports have occasionally had positive political impacts and helped to justify strong decisions, including individual sanctions. In Côte d’Ivoire, the ruling regime that emerged from the protracted armed crisis (2002-2011) opted for an illegible, partial treatment of justice issues for the victims of the hundreds of killings and other crimes during the post-election crisis and the many episodes of violence that preceded it. The political choice made in early August by President Alassane Ouattara was one of impunity for all in the name of imperative reconciliation. It was more surely a gesture motivated by the need for the president to generate a strong political boost in a context of fragility. Former first lady Simone Gbagbo was not the only beneficiary of the amnesty measure. 800 people have been amnestied. Some of them had no reason to be in prison but many others had good reasons to be there. And many others, especially related to the old rebellion that was allied with the now ruling power during the post-election war should have deserved to experience at least some credible court proceedings. The amnesty for all, or almost all, conveniently brings an end to the accusations of manipulated justice system brought against the Ivorian authorities. Not many decision-makers from the international community have in recent years pointed out that lasting peace will not be built upon impunity and lack of lessons learnt from a political and armed conflict that lasted nearly twenty years. The post-crisis economy recovery, visible in Abidjan, was enough to generate enthusiasm and confidence in the return of peace. This political bartering is expected to continue until 2020, when the battle for power could lead to the use of violence again. Who will then be able to say that they are surprised that the same causes produce the same effects? One apparently thinks that peace is consolidated by reinstating the main actors behind the conflict, except of course, the unlucky ones who did not survive. The negotiations between former allies, opponents and even enemies are making headlines in Abidjan. This political bartering is expected to continue until 2020, when the battle for power could lead to the use of violence again. Who will then be able to say that they are surprised that the same causes produce the same effects? I twice withdrew from the recruitment processes of UN expert panels, for Côte d’Ivoire a few years ago and Mali more recently. Not because of a lack of interest or because I did not want to win a few thousands of dollars as a remuneration for services rendered to the United Nations, but because I think that some of the Africans who have had the chance to be a bit more knowledgeable not only about the workings behind decisions made by the dominant actors of the international community, but also the schemes of local actors who are indifferent to the fate of the majority of their fellow citizens, should keep a distance allowing them to continue to express themselves freely. We cannot content ourselves with being detached analysts, observing and commenting on the slow disintegration of our countries on behalf of international organizations. What is at stake is the future of our children and that of our part of the world which is already too tormented. It is the whole of West Africa that would pay the price of a worsening crisis in Mali and its spill-over effects throughout the Sahel as well as a possible return of violence in Côte d’Ivoire. We have a moral obligation to express our doubts about the choice of tacit impunity as a privileged way out of our conflicts. I do not pretend that it is easy to exclude or even marginalize the most cynical actors of conflicts in peace processes. However, it is not because this is the most difficult route that we must be satisfied with the option of individual irresponsibility that has already done so much harm to the African continent. Note: The original version of this op-ed was published in French by Le Monde Afrique under the title « Du Mali à la Côte d’Ivoire, le pari fou de l’impunité pour construire la paix ». WATHI is grateful to Megan Goins and Myriam Wedraogo for their support for the translation and editing of this article. Gilles Olakounlé Yabi is a political analyst and economist. 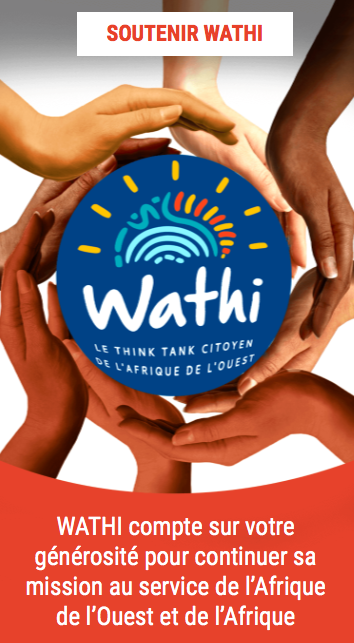 A former director of the West Africa Project of the International Crisis Group, and a former journalist with Jeune Afrique, he is the founder and the president of the Steering Committee of WATHI.